Buying a home can be a stressful experience, since there’s a long list of to-do items before making the big purchase. The first thing you have to do before buying, though, is choose the right neighborhood for you and your family. Town and Country is a popular suburb within St. Louis County, and it’s a great neighborhood for families. Like any neighborhood, though, it has its advantages and disadvantages, so it’s important to do your research before searching for homes for sale in Town and Country, MO. According to real estate website Zillow, the average price of houses for sale in Town and Country, MO, is about $775,000, so it’s definitely one of the more affluent neighborhoods in the St. Louis area. 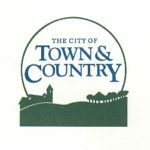 Town and Country is also very family-friendly, with Queeny County Park, Creve Coeur Lake just a few miles away, and plenty of shops and restaurants in the area. It’s also been named one of the safest areas in all of Missouri, with extremely low crime rates. Before you start browsing Town and Country real estate, it’s important to find the right real estate agent for you. There are good and bad Town and Country Realtors, and choosing the wrong one can potentially cost you your dream home. Be sure to look for a Realtor who knows the neighborhood well, since they’re more likely to get you a better deal on a home if they’re familiar with the local housing market. Once you’ve decided that Town and Country is the right neighborhood for you and you’ve found a great real estate agent, it’s time to start searching for your dream home!